" People bring the small fires of their wishes together and since they don't want to extinguish the small flame...they'll bring that small flame to a bigger fire. A big flame named Griffith. I'm sure you know...I didn't bring a flame with me. I think I just stopped by to warm myself by the bonfire. " This build focuses on mostly Strength and also some Dexterity. Thus, it is considered a Strength Build or Quality Build. This build's playstyle is to overwhelm the opponent with powerful strikes and is very challenging to new and veteran players. This build incorporates Fashion-Souls for those who enjoy the novelty of it. This Cosplay Build is an exceptional stand alone character as well as one who could venture into New Game+ with ease. It is equipped with the powerful and legendary Dragonslayer; the very same sword which has bathed in the blood of both Hollows and Demons alike! 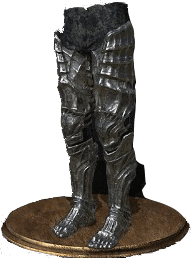 Although the weight of this Ultra-Greatsword exceeds some others within its own weapon class, the phenomenal base damage and long-lasting Hyper Armor Frames help cut down enemies with relative swiftness. For threats that are just outside your range, the build is always equipped with the trusty Throwing Knife which allows you to keep pressure on the opponent(s) while fighting. The Undead Hunter Charm and the Duel Charm are exactly the tools you should employ if the Hollows buff their weapons or constantly heal. 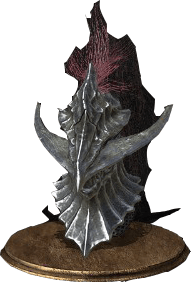 If you happen to come across a shield user or someone who is heavily armored, the Weapon Art of the Dragonslayer is ideal for the situation as it is un-parryable, covers horizontal distance, and does massive stamina drainage. 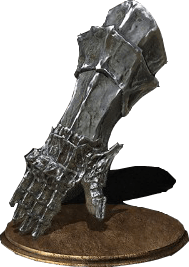 The Caestus is mainly a defensive tool, either for the quick damaging jab or as a parry tool to set up a critical riposte. While using this build, it is recommended that you upgrade your equipment to maximum for the best quality experience. 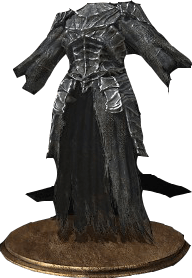 While using this build, it is recommended that you always have at least 5,000 souls to resupply consumables after each encounter. While using this build, remember that the " Item Section " is all preference so feel free to change it as you play. While using this build, remember to have the Ashes of Ariandel & The Ringed City expansion(s) downloaded and fully installed ( w/ updates ) prior to playing. While using this build, enjoy the fact that you are cosplaying as protagonist Guts from " BERSERK " by Kentaro Miura. 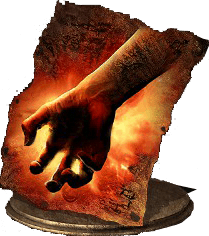 Dark Clutch Ring (or Magic Clutch Ring if you are running Simple), tho if you are not using Dark or Magic, use Carthus Milkring. i love thiw build very nice thank you sooo much...but i dont understand what class can i use the knight or pyromancer?...becauze you have stats for kight but you say is for only sorcere, cleric and pyro???? Bonus points for including the different arcs also. Wish I could find your "Blackflame Forlorn" build too, sounds awesome.